Posted in Government | Comments Off on What Is The Swift Tower Update? What’s Next For The World Trade Center Piece? 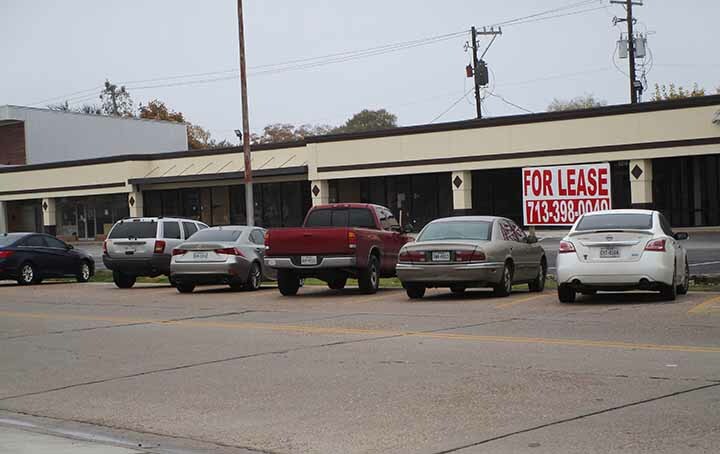 Bellaire residents in the northwest area of the City just outside the Loop are concerned about proposed affordable housing units in Houston at the corner of Glenmont and South Rice Avenue. This would impact the Imperial and Mayfair area, which is already dealing with the development of the old Texaco/Chevron property to the south, the Walmart center development to the north, and the redesign of the 610/59 interchange. Dan Sebesta registered his objections to having his engineering qualifications questioned by the the City Manager. 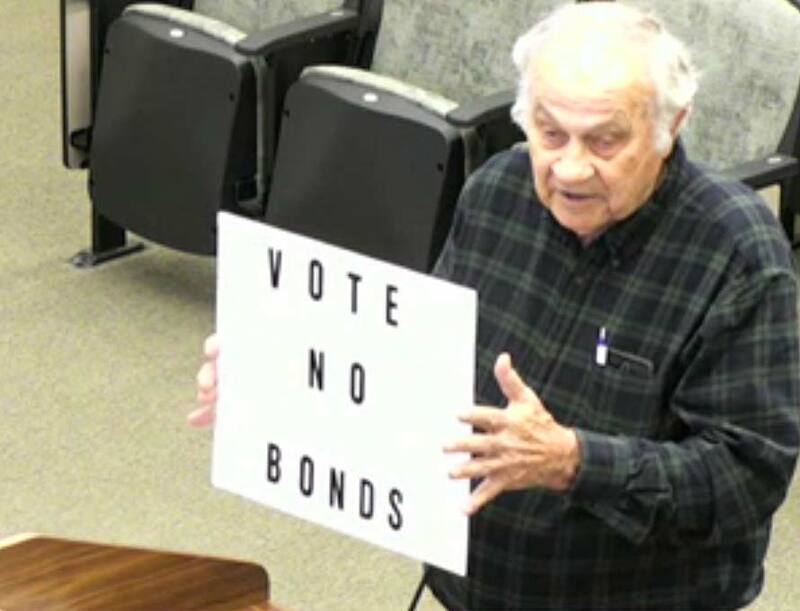 The highlight of his talk was his sign: VOTE NO BONDS. He opined that giving this City Council more bond money in November was like handing booze to an alcoholic. Speaking about the upcoming election, four council seats will be in play. Hold that thought. After the meeting the Council retired to a closed session and returned to the dais to vote in favor of a $6,000 raise for the City Manager. Six votes in favor, Council member Pat McLaughlan abstained. Video of the meeting can be found here. 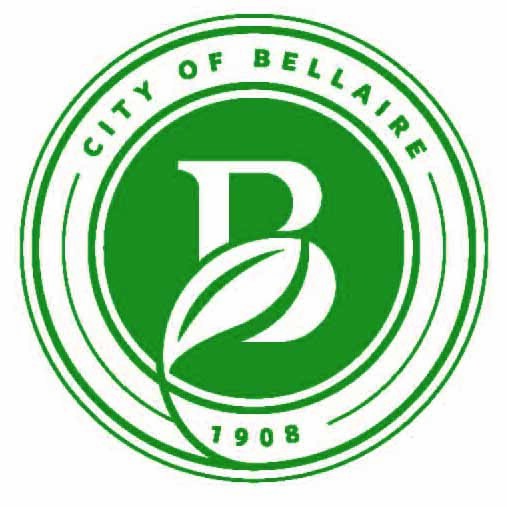 of that study, a B/leaf logo, a verbal identity, and a green font, were met with derision by many Bellaire residents. Posted in Government | Comments Off on Welcome To A Lush Grove? Over half of the $23.38 million in bonds approved in 2016 for Water and Wastewater Improvements did not go toward new water or sewer lines. 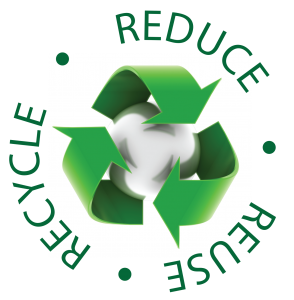 It was devoted to a contract with Siemens for new water meters and improvements to the wastewater treatment plant. Posted in Government | Comments Off on How Much Debt Is Too Much? Posted in Government | Comments Off on How Is Our City Money Being Managed? NOTE: The State of the City Powerpoint presentation from February 4, 2019, can be found at the end of this article. Despite the large number of speakers at recent City Council meetings who opposed the Spruce/Fifth St project as planned, plus an overwhelming number of emails to members of City Council and the Nextdoor posts in opposition, the mayor and council approved the plan by a 6 to 1 vote at the February 18, 2019 City Council meeting. Only Pat McLaughlan opposed the project. Although the 2016 bonds were promoted for the design and construction of streets and drainage systems with sidewalks on at least one side of the street, the $2.5 million dollar award to Astatus for the Spruce/Fifth project includes $360,449 just for landscape and irrigation costs. Welcome to Bellaire in the first decade of the twenty first century. From 9/11/2001 to Bellaire’s Centennial year of 2008. A new city manager, new parks, more bonds for streets, drainage and sidewalks, aquatics centers and municipal facilities. Zoning changes, and more park projects. Find Lynn’s latest chapter on our town’s history here. The Municipal Facilities cost has reached $21 million. Council sang the praises of city staff at the January 7, 2019 council meeting for some cost savings – the cost for change orders for the Municipal Facilities was reduced to $302,516. Do We Value Our Small Businesses? Can’t the appearance of downtown Bellaire be improved without spending hundreds of thousands of dollars to drive out our longtime businesses? Posted in Government, Public Works | Comments Off on What’s All This About Downtown Redevelopment in Bellaire? The six (6) estimates are available at the end of this post. 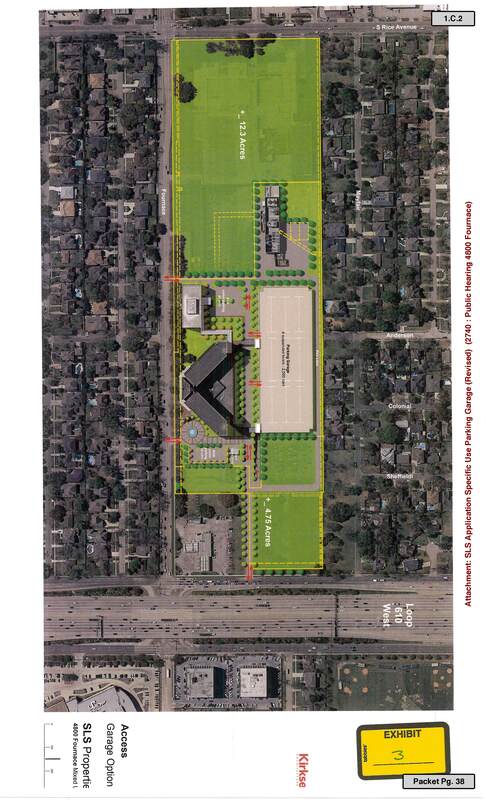 Please email the Mayor and City Council via tdutton@bellairetx.com regarding these projects. Your comments at the Council meetings matter, too! Here’s my email of February 13, 2019. Posted in Government | Comments Off on A Sidewalk Petition and Some Fireworks at the January 28th Council Meeting! 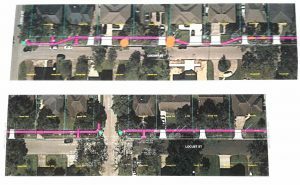 The City of Bellaire seems determined to narrow 60 foot wide commercial streets to 26 feet wide (about the width of a residential street) – for 2 lanes of traffic. Traveled every day by 18-wheelers! With 2016 Bond money as part of a project to reconstruct streets, drainage, and sidewalks. Bellaire in the 1990s was fraught with controversy, criminal charges, and a succession of mayors. Find Lynn’s latest chapter on our town’s history here. 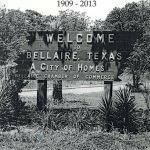 Are you aware of Bellaire’s History Walk? Lynn’s latest chapter of Bellaire history, History In Tangible Form, explains the background of Bellaire’s History Walk and the various monuments around town. Part of the City’s centennial celebration. Find it here! 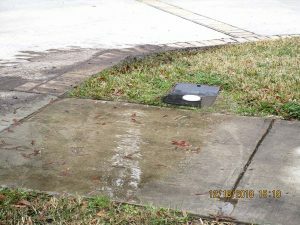 Call for Referendum To Require a Vote on Sidewalks! Posted in Uncategorized | Comments Off on What Happened To That $55 Million Dollars? From boomtown to slowdown, in 1980 population in Bellaire dropped from a high of almost 20,000 to less than 15,000. President Ronald Reagan defeated Michael Dukakis and reigned for the decade until George H.W. Bush took over in 1989. There was Black Monday in 1987, when the Dow Jones Industrial Average fell 22.6% on October 19th, largest one-day decline in history. The Exxon Valdez oil spill in 1989 closed the decade. Read the next chapter of Lynn’s Bellaire history! 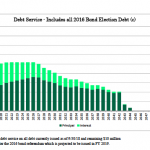 Posted in Uncategorized | Comments Off on How Do City Bonds Work? UPDATE: Recent information has been received. Find out what streets in the Group D Phase 1 and Phase 2 are approved for sidewalks and what streets have been removed. Read it here. It was 31 years ago, in 1977, that 4,619 Bellaire voters at a Special Recall Election called by a citizens’ initiative referendum succeeded in recalling from elected office the Mayor and three of the five City Council members. Bellaire citizens were up in arms when the City Council insisted on going against the majority of residents who opposed more commercial development. Read Lynn’s latest history article here! You’ve heard the phrase ‘Not in my backyard’, right? This Spruce St/Fifth St project is everyone’s back yard. We tend to spend most of our home time in our neighborhood, but just about everyone in the City spends some time in our downtown area. Initial Plan for 5100 block of Spruce. Purple parking areas block existing parking lots. The plans are about 90% complete and the City is still determined to narrow the streets and build public parking – for who? These folks are our neighbors. Some of them have been in business for 20 or 30 years or more. A bite to eat at Jax, windshield wipers or a plug for the lawn mower at O’Reilly’s, drop off your car at Bellaire Auto or your youngster at Treehouse Learning Center. How will you replace this kind of service if these trusted longtime businesses go away? 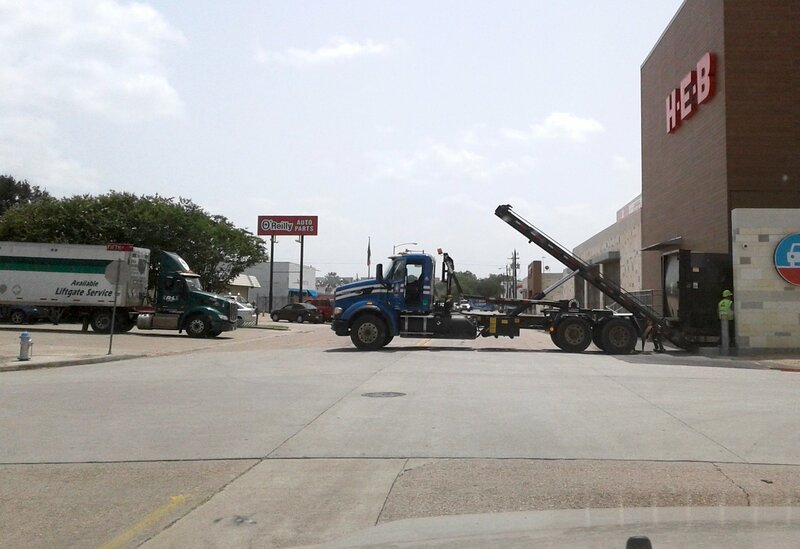 Accessing the new H-E-B won’t be easy, either, with all the traffic forced into a constricted area if this street is narrowed. Posted in Government | Comments Off on Spruce Street – Not In My Backyard! But The City Manager Just Won’t Give Up. Why? 2. Item for Individual Consideration: Council discussion on sidewalk program implementation and possible action to provide direction to the city manager as appropriate – Submitted by Paul A. Hofmann, City Manager. Was this item, posted at the end of the August 20th City Council agenda, sufficient to warn residents that a big change in sidewalk width might occur? Does this description provide any reason to think we will end up with 5-foot sidewalks? One week earlier, at the August 13th meeting, the stand-alone 4-foot sidewalk program (sidewalks installed only, not part of street reconstruction) was put on hold by Council. 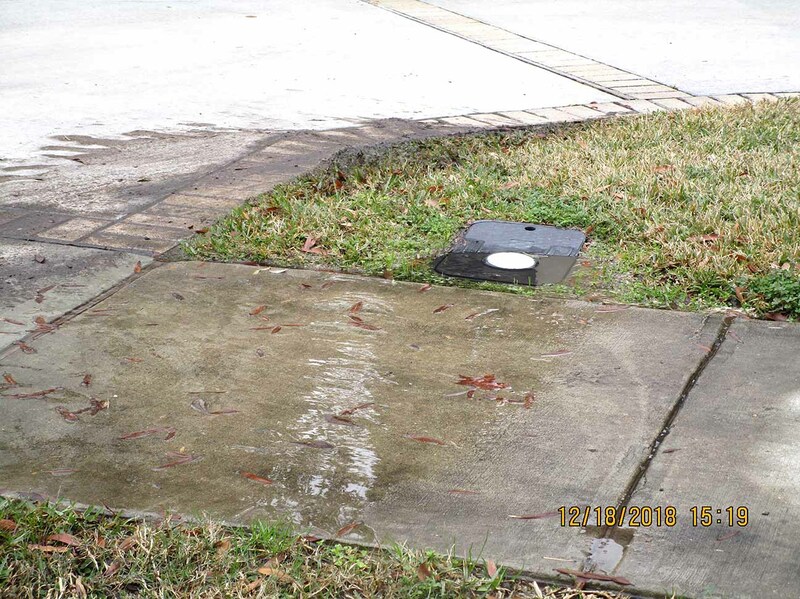 Numerous objections and petitions had been submitted by Bellaire residents who objected to sidewalks planned for their streets. The 1960s saw a wave of activism in the country, and Bellaire residents became activists as well. Catch up with local, national, and world history in Lynn’s latest installment here. All installments are are available on this page. It appears that at least some members of City Council were listening to Bellaire residents who attended last week’s Council meeting. Discussion during the Special Session on August 13th focused on financial concerns and about flood mitigation rather than adding more concrete to the City. Also about the possibility of a decline in the assessed Bellaire property values for 2018 due to the Harvey flood, which would lead to a decline in tax revenues. The City Manager seems to think the total value on the tax rolls will remain the same. We’ll know more in late August when the final numbers are distributed by Harris County. Council member David Montague had some questions during the Council meeting, and he’s certainly paying attention. 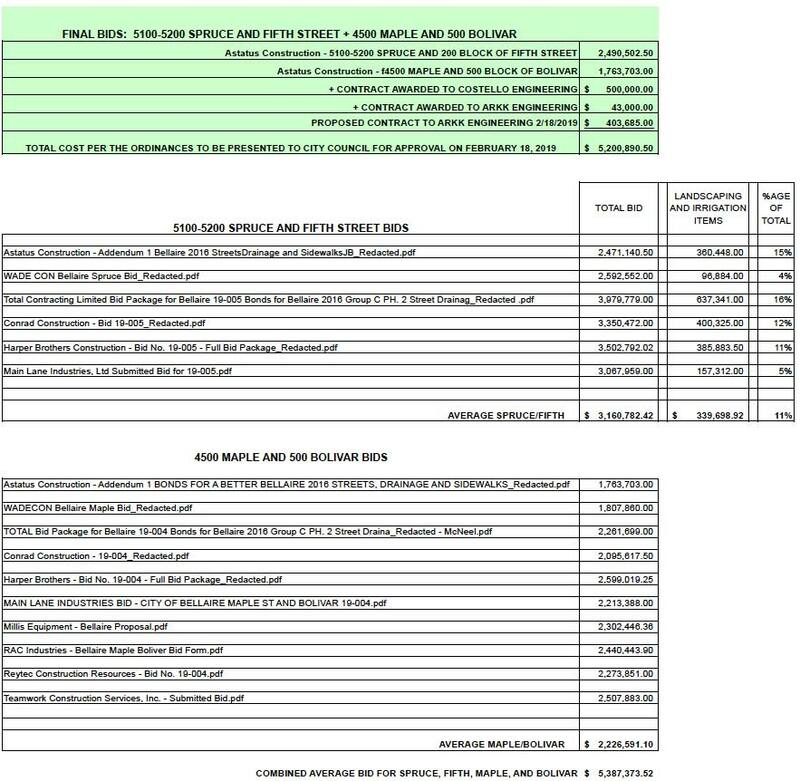 He noticed that the cost for a proposed $1.3 million dollar sidewalk project had ballooned to a $1.8 million contract for 15 blocks, which he then pointed out was almost half the $4 million from the bond issue that was supposed to cover 50 blocks. Someone actually questioning costs! Public Works director Michael Leech could provide no explanation for the increased cost. 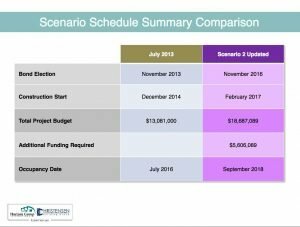 Later in the meeting Council member Pollard mentioned that projects always seemed to end up costing more than the original proposals. The $4 million is supposed to be for 4′ wide stand-alone sidewalks like the one proposed for my street, not ones tied to street reconstruction. Mr. Montague said what he heard at the earlier meeting was that a lot of people opposed plain sidewalks as well as Pathways. That’s when the Mayor suggested that considering how many people have objected to these sidewalks, coupled with the need for more pressing street and drainage projects, the $4 million might be better spent on those. The vote was 4-3 to postpone a vote on the $1.8 million dollar sidewalk contract until more input is gathered from the community about sidewalks in general. Mayor Friedberg, Neil Verma, Pat McLaughlan, and David Montague voted to postpone it. Gus Pappas, Patricia Pollard, and Michael Fife voted to proceed. Council member Fife opined that a “number of the comments they had heard last week were from people knocking on doors getting people riled up with information that was not strictly correct. Some well informed and some less than well informed” However the plans and the costs speak for themselves. She also stated that Council didn’t hear from people with small children who couldn’t make the meeting. Guess she forgot about all the emails. You can always submit comments to the Mayor and Council by sending them to City Clerk Tracy Dutton at tdutton@bellairetx.gov and request that they be forwarded to Council. Let them know what you think! Chapter 9 of Lynn McBee’s Bellaire history is available here. Houston growth brings Loops and Freeways and a town divided. A time of growth, with more discussion on zoning and desegregation in our schools. Here are the Plans. Click to go open the pdf file of the maps. 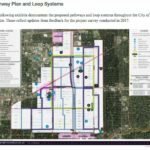 UPDATE: City Council has tabled this plan but did not vote it down. Unless it returns for consideration and approval it will sit on the same shelf as the Branding proposal, available for a rerun in the future. The latest Pathways Plan information can be found here. Meanwhile, please review the articles on the nightmare proposal on Spruce and Fifth Street! Here’s the latest post. This is another project the City Manager has been involved in for over a year. The businesses and land owners are not objecting to the new street and drainage improvements, only the plans for the parking that would narrow the street and hinder or block parking at their businesses. 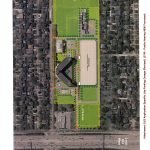 It will harm our longtime local businesses, interfere with deliveries to the new H-E-B, create dangerous traffic patterns, and the costs, of course, will be provided after approval! Read about the City Manager’s plans for Spruce and Fifth streets here. 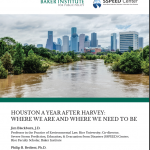 Even as we enter another hurricane season many residents in Bellaire and the Houston area continue to suffer from the damage and the costs of Hurricane Harvey. Numerous homes have yet to be repaired with the owners living in them as best they can, some living on upper floors; others have moved out and are living with relatives or in rented quarters. After three devastating floods in our area in three years (May 2015, April 2016, August 2017), only one of which was hurricane related, let’s first focus on the need for flood insurance. Flood Insurance – Who, What, Where, How? Posted in Floods | Comments Off on Are You Covered? Up To Date on Your Flood Insurance? Chapter 8 of Lynn McBee’s Bellaire history is available here. It wasn’t easy to agree on a path to arrive at the style of City government we have today. And we’re still working on it! See all files and graphics at the bottom of this article. Posted in Uncategorized | Comments Off on Do We Need A Revolving Door At The New City Hall? 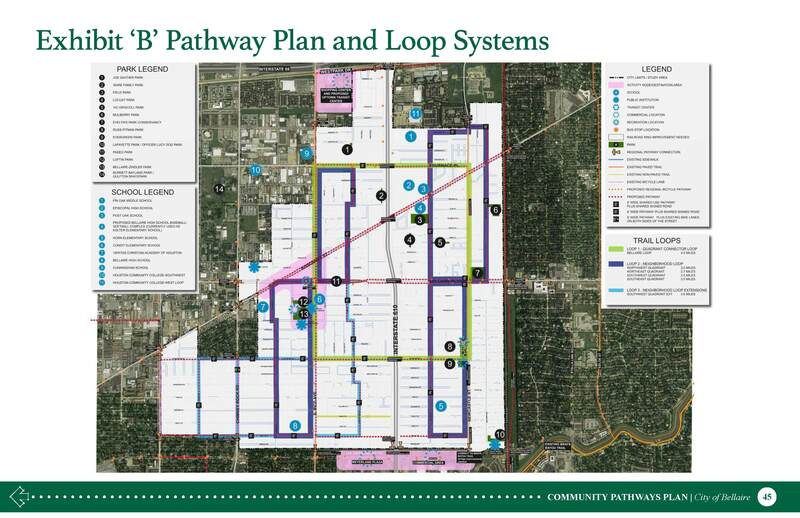 UPDATE: The Pathways Plan was presented to Planning and Zoning on Thursday, July 12th. The Meeting video is available to view online. P&Z voted unanimously not to recommend the Plan to City Council at this time. The Pathways Project will be ‘reviewed’ at the City Council meeting on August 6th. You can email Council at tdutton@bellairetx.gov and request that your email be forwarded to the Mayor and City Council. Streets shown on current maps: 8 feet wide – South Rice, Evergreen, Fournace, Newcastle; 6 feet wide – Maple, Alder, Chimney Rock, Ferris, Anderson/Second, Englewood, Avenue B, Mulberry, Sunburst. (Let me know if I missed any.) See maps at the bottom of this post. 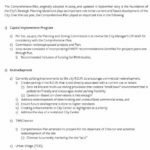 One of the items on the agenda for the June meeting of the Parks and Recreation Advisory Board was “Discussion and possible action regarding the Community Pathways Project”. Updated project files can be found at the end of this post. Ayo Bello, an engineer with HR Green, the contractor for this plan, explained that the Pathways plan was developed based on a City survey. The survey garnered 430 responses out of over 16,000 residents – about 2.7%. City staff member Cristin Emshoff and Mr. Bello presented the details of the new plan in hopes of gaining the Board’s approval. After a PowerPoint presentation they explained that no pathway would be on private land, all would be built on public right-of-way (ROW). 5100 block of Spruce – business parking spaces have been blocked, loss of parking at Jax. Click for larger image. Posted in Uncategorized | Comments Off on Spruce and Fifth Street Neighborhood Meeting – What Will Happen To Local Businesses? 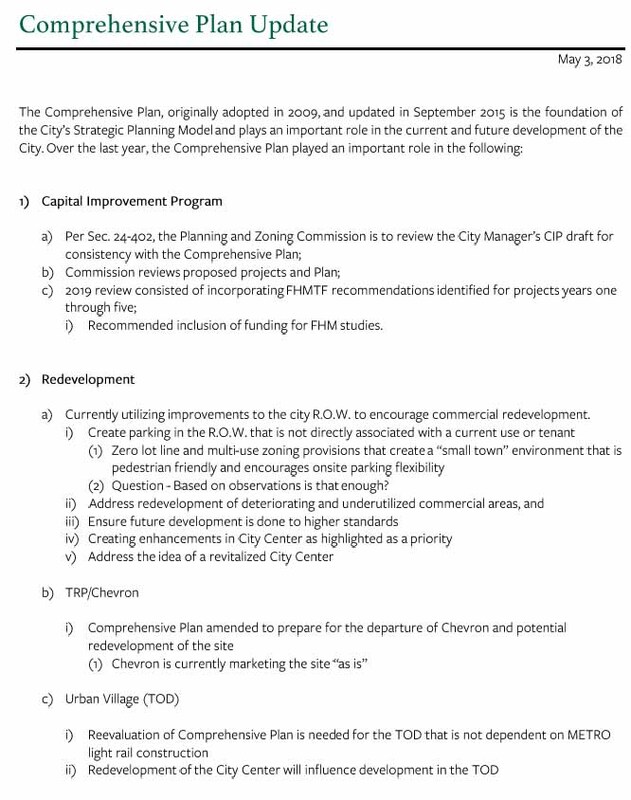 Posted in Government, Uncategorized | Comments Off on What’s With All These Bellaire Plans and Studies? 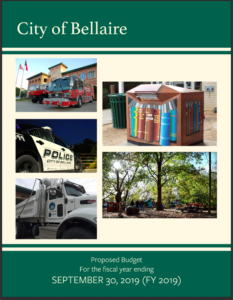 Ensuring public safety; money for infrastructure, public works and library buildings, and parks. Property tax increase is not addressed. Will we need one? PLEASE review this agenda, especially pages 54-57, in preparation for the final budget due in September. Residents are speaking out in opposition to the proposed Pathways Plan. 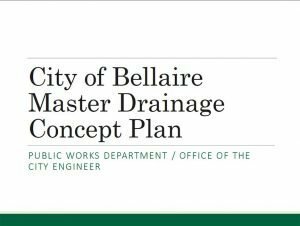 The cost may be paid by the 2016 Bonds for Better Bellaire funds for Streets, Drainage and Sidewalks. The estimated cost could exceed eight million dollars. You’ll find more information at Pathways Study under City Studies in the main Menu. 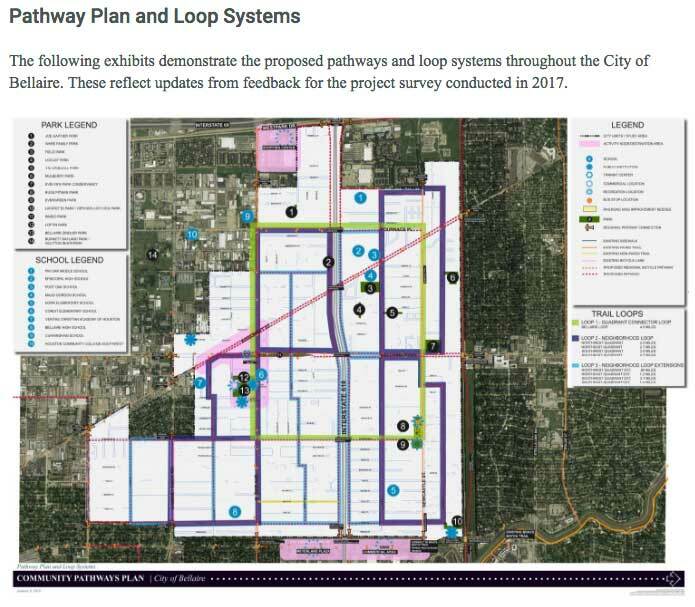 NOTES from the February 20th presentation: The proposed Loop System pathway width may be 8 feet and it runs throughout Bellaire neighborhoods. PLEASE study the maps included in this presentation. The estimated total cost is approximately $12 million, not including the cost for rights of way, utility relocation, and other attendant costs. Another $1.5 million is shown for sidewalks. According to the PowerPoint presentation a survey (Survey Monkey) of Bellaire residents garnered 440 responses, 7 of them non-residents. Let City Council know what you think. Were you aware of the presentation in January or February? I was not. Nothing in the water bill, nothing distributed door-to-door with the trash bags. What do you think? Is it time to organize? Please post your comments on the User Comments page. Thank you for reaching out. I can inform you the original recommendation to install a pathway along Baldwin for both bicyclists and pedestrians has been removed from the Community Pathways Plan. During our open comment period, we have received comments similar to what you have indicated in your email. This caused a closer examination of this recommendation. The pathways identified in this plan are intended to be within the City’s right of way and are not intended to be on resident’s property. In Bellaire, most right of ways are 60’. This is not the case for Baldwin – it’s a 50’ right of way. In order to add a pathway on Baldwin, the entire roadway would have to be realigned, very similar to how the Newcastle Trail was constructed when Newcastle Street was completed. In addition, Baldwin was recently constructed in 2011 and is in good condition. There are also numerous conflicts (trees, utilities) in the right of way that would have to be relocated or removed. For this area, the Newcastle Trail can be used as an alternative pathway. Email the Mayor and City Council via our City Clerk, Tracy Dutton at tdutton@bellairetx.gov. Ask her to forward your email to the Council. Why would a City choose to harm its small businesses? Spend hundreds of thousands of dollars to do so? 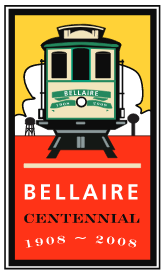 Have you tried to find information on the City of Bellaire website? One example: search for City Council agenda packets. You’ll find the calendar for the current month where you can click on the Council meetings. The next best possibility is City archives, except the most recent agenda shown is for March 24, 2014. If you really want to find the most recent agendas you literally have to go back month by month. Search for transparency or transparency in government. First up is annual local debt report – informative (and scary), but not really about transparency in government. Then some type of City report, and so on. Nothing close to West University’s site, which lists Transparency in Government as a main menu item. Posted in Branding Study, Uncategorized | Comments Off on Is Our City Logo Still An Issue? Group C Phase II: Streets, Drainage and Sidewalks project – There are five street blocks identified in this project. 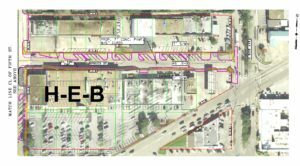 Three of the street blocks are adjacent to the HEB area and will have wide sidewalks, landscaping, trees, irrigation, streetlights, and on‐street parking. 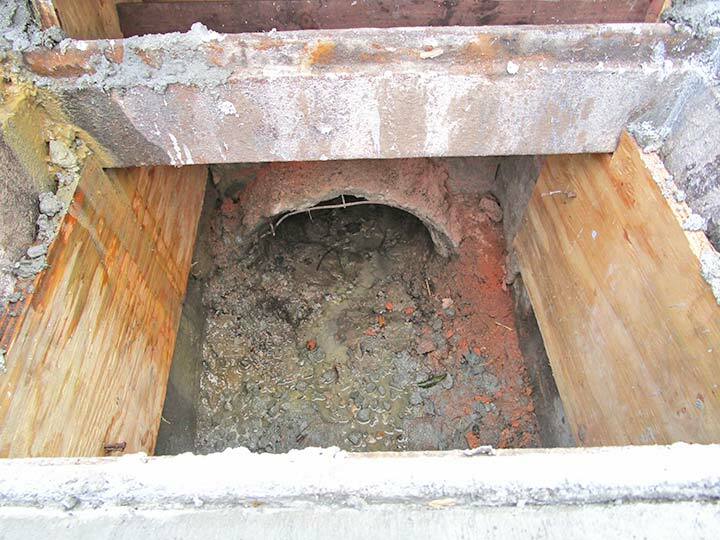 A waterline was added to this project after identification in the condition assessment for Proposition Three. Construction is estimated to begin this fall. What art? Donated or Purchased? 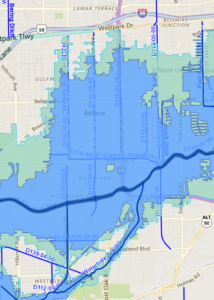 This is a link to an article in Sunday’s Houston Chronicle (April 1, 2018) that issues a warning about our flood plain maps and our future under the new normal of climate change. You can find information on Bellaire’s flood permit process and flood mitigation task force under Floods in the main menu. Bellaire has come a long way and thanks to longtime resident Lynn McBee the City’s history will unfold on this web site. Just click the menu item for Bellaire History and enjoy a good read! Posted in Government, Uncategorized | Comments Off on Why This Sudden Interest in Spruce Street? 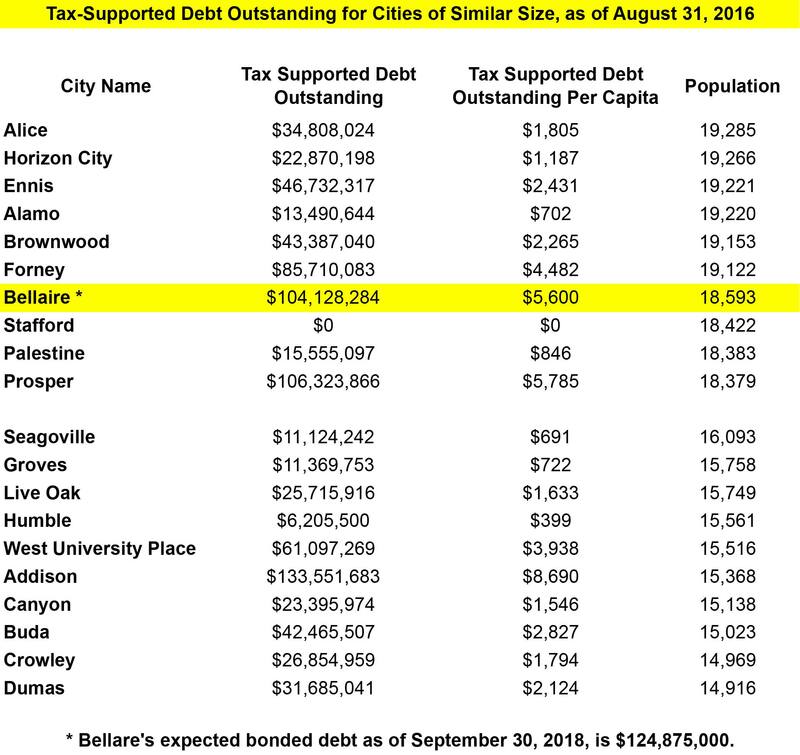 As of 2016 the City of Bellaire had over $104 million dollars in outstanding debt, $5600 per person, which is much higher than any of the surrounding municipalities. 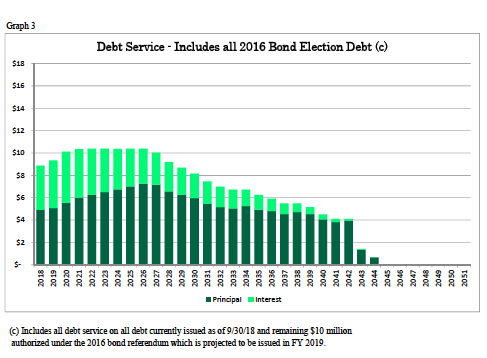 Almost a quarter of the of the City budget, about $9 million, will go out on debt service this year, and there’s mention of another bond issue in 2019. 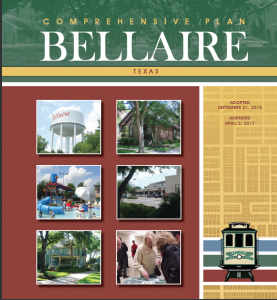 Posted in Government | Comments Off on How Does the City of Bellaire Spend Taxpayer Money? 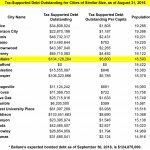 Posted in Public Works | Comments Off on What was included in the 2016 Bellaire Bond Election? What do you think? Email tdutton@bellairetx.gov and request that your message be forwarded to the Mayor and members of City Council. What about the Pathways Plan? If you thought this was just for sidewalks you’re in for a surprise. The price tag on this study could be $8 million or more and add 8 ft wide walk/bike paths throughout the City, along Baldwin Avenue, for instance. Plus the cost for sidewalks. Council has postponed discussion on this plan until May. The downloads and maps can be found under the Studies link. And coming up for Council’s consideration on Monday, March 19th, is a presentation for the Spruce and Fifth Street Design Considerations. Spruce_St&Fifth_Considerations . This presentation contends there will be no financial impact because the cost, I guess, is contained in the bond monies from the 2016 bond election. Is this how you thought the bond money would be spent? 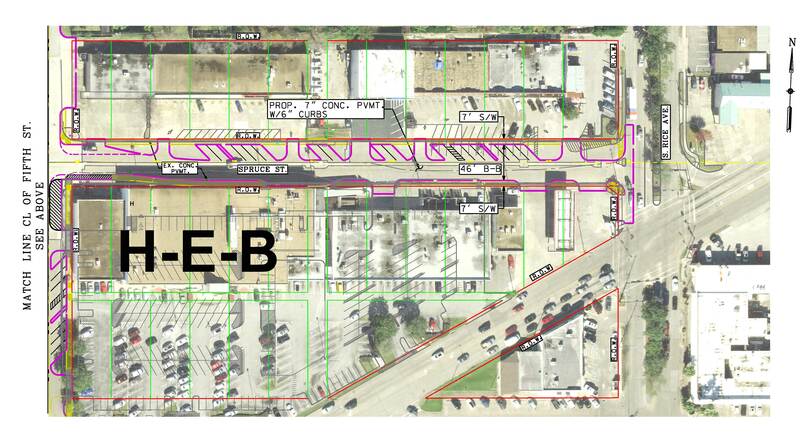 What’s not mentioned is the impact on the long-time business owners along the north side of the 5100 and 5200 blocks of Spruce and the small bakery on Fifth St. How will the large delivery trucks to HEB navigate in this narrow space? Also not mentioned is the estimated cost, which was revealed to be about $4.1 million. Mention was made that part of this amount was something about the 4500 block of Maple and Bolivar. Nothing about these streets was shown in the presentation. This presentation is a curious mix of several recent studies. On the map in the presentation the 5100 block of Laurel is still shown, old swimming pool and all, and somehow a second Locust Street shows up running along the alley behind the Shipley’s and Sherwin Williams stores. I’m concerned there may be some hidden agenda behind this, what do you think? More on this later, along with the zoning changes that Council passed in 2013 for this area. Posted in Home, Posts | Comments Off on Branding, Pathways, Spruce St – What’s Up at Bellaire City Council?